Three generations of a Jewish family pose for a group photograph. Vilna, 1938-39. The photo was taken during daughter Mina's visit from Montreal. 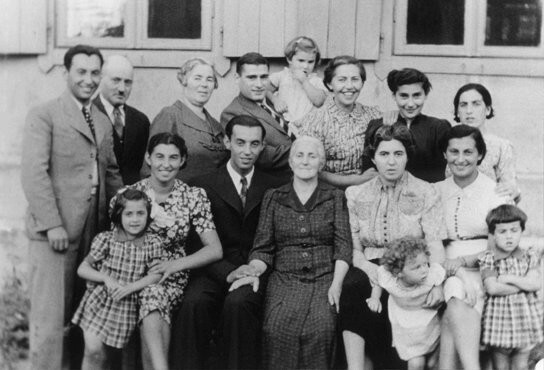 Among those pictured are Mina (Katz) Herman and her daughter, Audrey (front row, second from the right), Itzik Katz, Mina's brother (standing at the far left) and Malka Katz, Mina's mother (front row, center).